The Porsche 992 generation was unveiled last year, the media have driven the S and 4S and the first customer cars are delivered – lucky people. What is a little strange is that the 991.2 generation GTS, GT3, GT3 RS and GT2 RS models are still rolling off the production lines. The bottle still is not empty – for the 70th anniversary the brand, we saw of iterations or what Porsche called the 911 Speedster Concept, the latter appearing to be very close to production ready. The wait is finally over and the 2019 Porsche 911 Speedster celebrates its world premiere in New York at the New York International Auto Show – to celebrate 70 years, 1948 units will be produced. The Speedster, shown and detailed in US specification, bears a remarkable resemblance to the concept cars we were weak at the knees for. The press conference confirmed the rumours that a GT3 engine would be used in contrast to previous Speedsters that utilised standard Carrera engines and not the GT engine we see here. In the standard GT3 there is 500 horsepower, the Speedster achieves 502 horsepower and 346 pound feet. The modest bump comes courtesy of the race-bred powerplant which has been enhanced with individual throttle bodies that make the throttle response even sharper, just like in the 911 GT3 R race car. 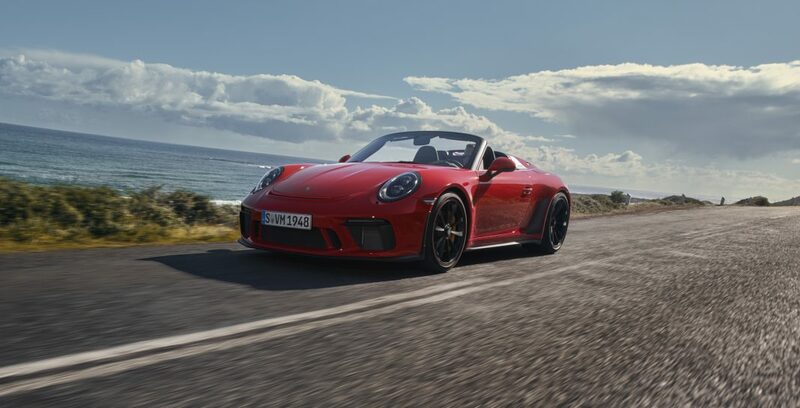 The 2019 911 Speedster shares a chassis derived from the 911 GT3 models with a specifically-calibrated rear axle steering system and dynamic engine mounts to deliver a maximum amount of stability and precision. 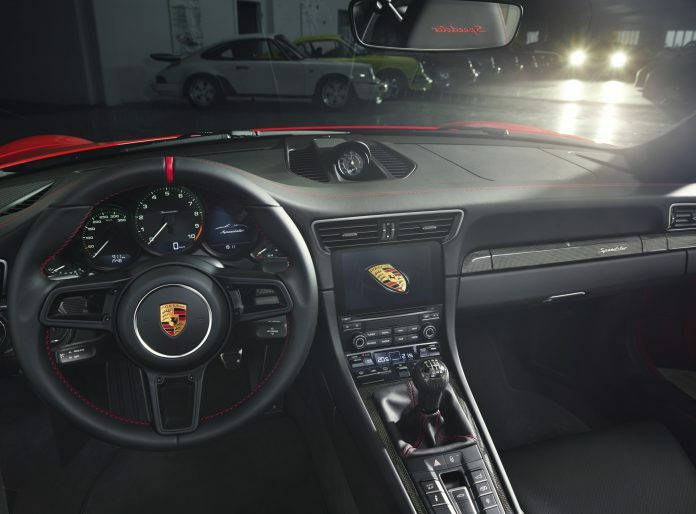 Unlike the GT3, the Speedster will only be offered with a six speed manual gearbox. The 4.0 litre flat-six engines still has a redline up at 9,000 rpm and will hit 60 miles per hour in 3.8 seconds. 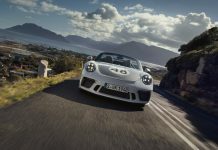 Porsche are keen to highlight that this is the first time a Speedster has been developed by the Porsche Motor Sport department, but that it is also instantly recognisable as a Speedster. The iconic low-cut front windshield and side windows as well as the manually operated lightweight fabric top are characteristic for a Speedster model and make the car stand out immediately. The two streamliners atop the rear decklid made from carbon fibre are another design highlight rooted in the model’s history. 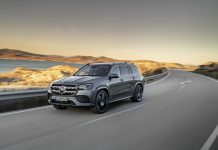 In the cabin there are lightweight door panels with storage nets and a black leather interior as standard. The interior can optionally be trimmed with red stitching for the dashboard and the “Speedster” designation in the headrests. With this option, the door pulls are also fitted in red, and the GT Sport steering wheel is decorated with a red 12 o’clock centre marker. Air conditioning is omitted as standard in the interest of weight savings, but can be added as a no-cost option. 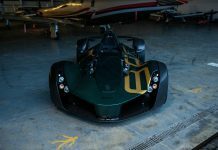 Back on the outside, the motorsport and GT car traits are clear – the front luggage compartment lid, front fenders and rear decklid are all made from carbon fibre composite material, while the front and rear fasciae consist of lightweight polyurethane. Standard Porsche Ceramic Composite Brakes (PCCB) save around 50 percent from the system weight with grey cast iron rotors. The roof mechanism continues the lightweight focus with no automated mechanism other than the latches to lock into place. 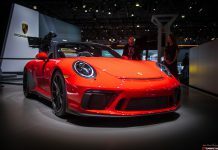 These weight saving measures, including the 9 pounds saved with the manual transmission result in the 2019 Porsche 911 Speedster weighing just 3,230 pounds. 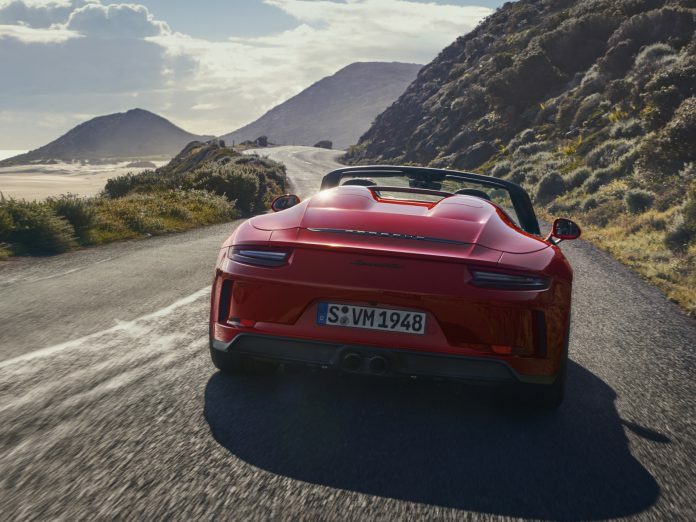 The 2019 911 Speedster is planned to be available for order on May 7, 2019 and is expected to reach U.S. dealers in late 2019. 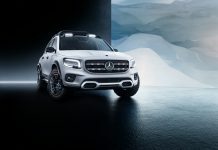 The MSRP is $274,500, not including a $1,250 delivery, processing and handling fee.